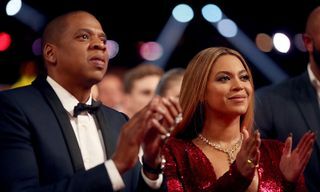 Just last week, JAY-Z unleashed a star-studded clip for 4:44 track, “Family Feud.” Now after being available for viewing exclusively on TIDAL, the video has made its way to YouTube for the rest of the world to see. 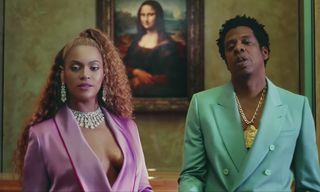 Again, the “Family Feud” aesthetic stars JAY and Beyoncé alongside daughter Blue Ivy, as we witness the legendary rapper engaging in a confessional. 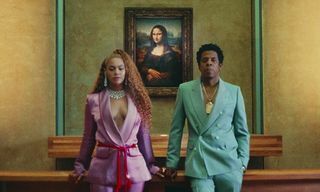 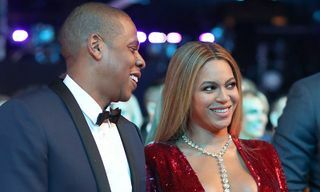 In addition to the Carter family, the visual welcomes cameos from the likes of Omari Hardwick, Michael B. Jordan, Rosario Dawson, Rashida Jones, Niecy Nash and more. 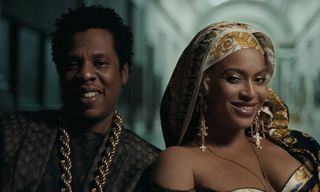 “Family Feud” was directed by Ava DuVernay and scored by Flying Lotus.